An adventure/strategy game with survival elements by Polish studio 11bit Studios. Frostpunk is set in a fictional icy-cold world, whose climate deeply affected the development of its society. To survive, people rely mostly on steam engines. 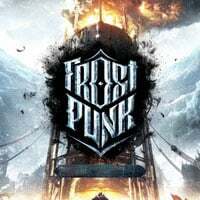 Frostpunk for PC is another production by 11 bit studios, known for the Anomaly series and This War of Mine. This adult-oriented, survival-focused game asks you a question: what happens when humans reach the limit of their endurance? The game is set in a frozen, hostile world, whose climate significantly shaped the society. To survive, humanity uses energy generated by steam engines, but that's not enough—the society needs to change, as it cannot continue to exist in its current shape. The events of Frostpunk are an alternative history of the 19th century. The developers don't reveal the reason for the ice age at the beginning and you gradually discover the truth as the game progresses. The gameplay consists of managing the whole society living in the last human city, utilizing a system based on RTS and survival games. Obviously, doing something for one's own good may not always have a positive effect on the rest of people, so you often have to make difficult choices and ambiguous decisions, as well as sacrificing some of the citizens so that others can survive. The mechanics involve the 19th-century technology, created by the developers, which allows you to melt the ubiquitous ice and change water into steam, which is used to power steam engines. The visuals of Frostpunk feature a very distinct style, thanks to the contrast between the cold colors that represent nature and the warmer hues, which symbolize the remains of civilization. The game's creators were inspired by e.g. the graphics of Dishonored. The music was composed by Piotr Musia³, known for the soundtrack of The Witcher 3: Blood and Wine. The game was also co-created by film studio Platige Image, which used to cooperate with i.e. CD Projekt.